Yeah, go with Shadow. . Wallpaper and background images in the Sally Acorn club tagged: sally+shadow. 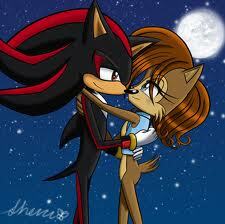 First of all, i do not go out with Shadow I go with Sonic and second that is revolting!